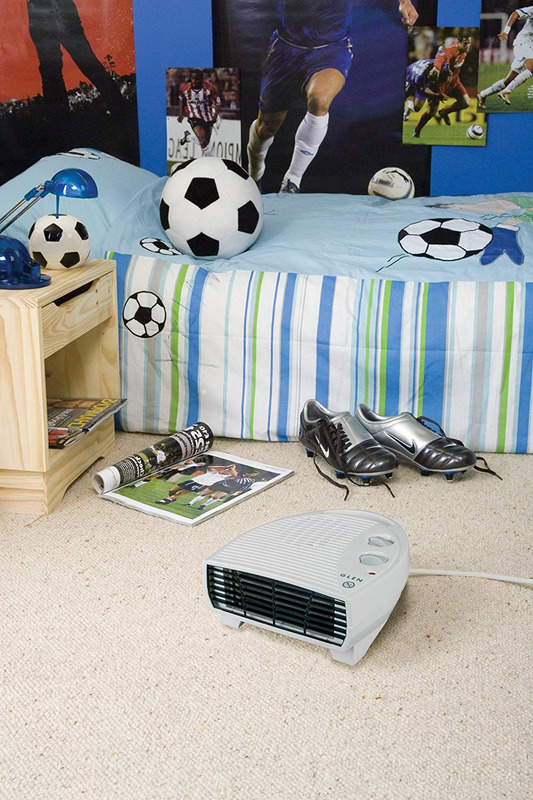 The Glen GF30TSN 2kW flat fan heater is ideal for spot heating, when instantaneous heat is required. It's thermostatic control and choice of heat settings (including cool air setting) make this product an ideal heating solution for multiple applications, such as bedroom, home office or utility room, plus its compact styling makes the GF30TSN easy to move from room to room as desired, and store away when not in use. The GF30TSN is finished in a neutral white and meets stringent BEAB Intertek safety approvals, plus has a 1 year manufacturers warranty.